As you may know, I was in Mexico a week or so ago for some much needed family time. Most of my trip was spent at home with family but we did do a little road trip to a beautiful mining town called Guanajuato. I've always heard great things about Guanajuato, so when the opportunity came to go we jumped at the chance. The few hours in the car was well worth it, I immediately fell in love with this beautiful, colourful town. We weren't there for very long but we made the most of it by hiring a tour guide who drove us around the most important sites (which I highly recommend!). Mummy Museum". Guanajuato is home to a collection of naturally mummified bodies that were interred during a Cholera outbreak in 1833. We went to see them and they were incredibly creepy but really fascinating at the same time. Guanajuato is also home to the first battle of the Mexican War of Independence. The city holds tons of history for the people of Mexico and is considered a World Heritage site. No trip to Guanajuato is complete without visiting "El Pípila". 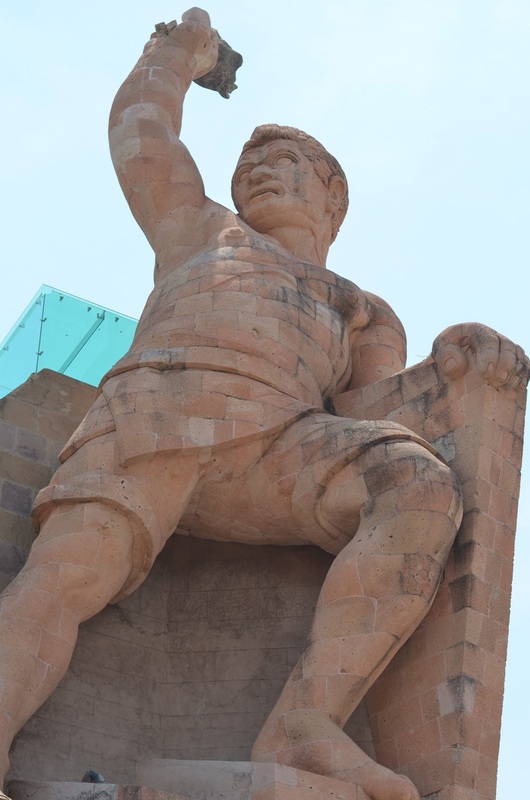 El Pípila is a huge monument of a local hero holding a torch overlooking the entire city. This was easily my favourite part of the tour as the view was completely breathtaking. I literally had to be dragged back to our van, but can you really blame me? I could go on and on about how great Guanajuato is but that would make for a super long blog post! It seriously was one of my favourite places I've ever been to in Mexico. If you are ever thinking of taking a trip to Mexico and want to see something other than an all inclusive resort consider going to Guanajuato! Stunning images! Would love to visit some day :).